When Summer Auerbach graduated from business school, she faced two ordeals: her father's illness and the collapse of the family business, Rainbow Blossom. See how she navigated those storms and others since. 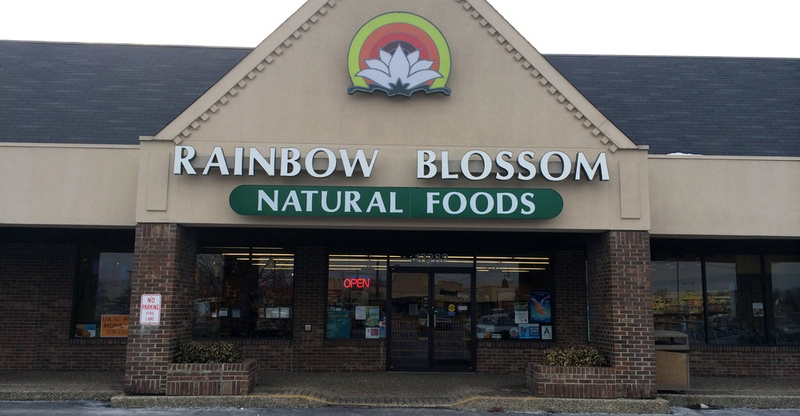 Rainbow Blossom Natural Food Markets & Wellness Center, a five-store independent in Louisville, Kentucky, just celebrated 40 years in 2017. But it took everything second-generation owner Summer Auerbach had to keep the business alive amidst an influx of competition, the economic downturn and the cancer battle that sidelined her father from his beloved company. “If you’d asked me years ago if I thought we’d see our 40th anniversary, I’d probably have said no,” Auerbach says. “Things just seemed so unstable and uncertain.” But with hard work, determination and a lot of creativity, she steered Rainbow Blossom through these challenges, resurrecting its success. We asked Auerbach to reflect on her journey and the ways she’s putting her own stamp on this legacy business. Did you plan on taking over Rainbow Blossom at some point, maybe just not so soon? Summer Auerbach: No. When talking about what I wanted to be when I grew up, my dad was always like, “You need to figure something out—and it’s not this. I’ll be so old when I retire. You need to be realistic.” So I didn’t think there would be a job opportunity for me here. But I did inherit some business sensibility growing up. My dad started talking to me at a young age about margin and market, “retail is detail” and things like that, so I wanted to be an entrepreneur. I went to business school, and as I was finishing, my dad was diagnosed with cancer. So you returned to Louisville to help out? SA: I moved home after graduating in 2004. My parents are the type to not go into detail—it was always “we’re going to be fine”—so I was shocked by how sick my dad really was. Around the same time, Wild Oats and Whole Foods Market moved to town. We’d been the only game in town, so we figured our customers would be loyal and we didn’t need to worry. But our stores didn’t have a leader or visionary, so sales fell 50 percent. I was also shocked to see that the stores looked lighter and the employees felt insecure and on edge. Finally, my dad told me how enormous our debt was. That was a real wakeup call. He asked if I could help out that summer. I’d already made plans to move on in the fall, so I said, “I’ve got four months and I’ll give you everything I can.” Fourteen years later, I still haven’t gone anywhere. How did the business manage to survive, especially once the Great Recession hit? SA: In those days, there was a lot of speculation about us closing, from the community and our employees and vendors. We had to dig ourselves out of this financial hole we’d created. A lot of vendors didn’t want to ship us more products because we already owed them money. But I faced this head-on with open and honest conversations. I told them that if we filed for bankruptcy, they wouldn’t get any money from us. But if we could pay them back slowly, I could promise they’d get every penny and, ultimately, our continued business. We got really creative with vendors. And how did you reassure your staff and shoppers? SA: My coming home helped our staff calm down. I was so young and insecure, so it wasn’t like, “Hey, guys, I’m going to fix this!” But for them, just seeing somebody in the store who had some skin in the game meant a lot. We also had to change the narrative and make our staff really aware of what they put out there. People want to shop where they perceive business is good. Danny Wells said in an old customer service video, “When people ask, business is either good or great.” Sure, you don’t know if a paycheck is going to pass today, but when people ask, celebrate the small stuff and say something positive. So we really focused on the customer experience. We figured out how to have truly unique products like gifts and local items that shoppers would come in for, instead of just the commodity natural products that Whole Foods and Wild Oats were now selling for cheaper. I also started hosting events at the store and writing press releases to get free media coverage. These events brought in customers, drove sales and improved staff morale. That became this new lifeblood and focus for us. What an awesome local business success story! Did you also want to help lift up other local businesses? SA: I helped start the Louisville Independent Business Alliance in 2005. I was so passionate about buying local and felt I could sink my teeth into this consumer-awareness campaign. LIBA saved me both in a true sense, by bringing awareness to buying local at time when people weren’t thinking about it, and mentally. It gave me a project to devote my time to and helped me become more connected to the community and not feel so alone. Your dad, thankfully, recovered from cancer. Did he return to work? And now you have five stores! Why do shoppers continue to choose Rainbow Blossom? SA: We did a customer survey this past year. And like every time we ask why people shop with us, 80 percent said it’s because of the unique product selection they can’t find anywhere else. So it really feels like that’s a core piece of our identity. We feel this makes us more nimble and lets us work with local farmers. If a farmer comes in and says, “Hey, I have 36 bunches of kale,” we can buy them. It’s meaningful for the farmer and meaningful for us. You just turned one of your stores into a Wellness Center. What prompted this shift? SA: That store was never designed to be a full-service grocery store, but rather a smaller-footprint location to serve the peripheral area of town, built off of our reputation. We opened it right before the competition came to town, so it suffered more than our other stores because it never really had a chance to flourish. But it was always profitable because it was less grocery focused; the sales came mostly from HABA and things like walnuts. So I let it lie. Still, I never felt this was a great representation of who we are. I always worried someone would walk in and think all of our stores were like that. Then when Vitamin Shoppe moved in across the street and Earth Fare opened nearby, it started becoming less and less profitable. Did you consider closing that location altogether? SA: I thought we could either close, which would make sense, or reimagine it. So in 2016, it became our Wellness Center. We took out all the freezers, fridges and things that weren’t carrying their weight, and now that store carries almost no grocery. General Electric put in an education kitchen that they sponsor, and we installed six practitioner rooms so guests can come in for a massage or meet with a naturopath. Now when people go into that store, they understand that it is more like a Vitamin Shoppe model where you’ll find wellness, HABA and gifts. There are couches to sit on, and the vibe is more relaxed. Interestingly, we took out grocery and, looking at same-store sales percentage, that’s our highest grossing store. Are the practitioners Rainbow Blossom employees? SA: No, they are tenants. They get a store discount, and we encourage them to recommend our products instead of selling their own. We also promote their businesses. They are under one umbrella, so they do monthly programming with lunches and meetups so they can collaborate. Do you plan on opening more stores? SA: We are open to it and have our eye on it. But I really don’t want to expand outside our area. I’ve become so connected to the independent business movement here that that wouldn’t feel right. We offer a connection to the community, so if we moved into another city, we’d lose that authenticity. As a neighborhood store, we’re looking for opportunities in neighborhoods that are hungry for an experience like ours, but also where we’re unlikely to face competition like Whole Foods moving in. Interestingly, we’ve found that middle-income areas are best for us, places where the demographics are fine but not amazing, places that don’t have the best of everything already. With areas where a demographer would be like, “Yes! This is an A-plus location!” every chain is looking there, too. Then you get a Kroger with a natural section the size of your whole store moving right into the middle of it. SA: Gosh, probably maintaining relationships with the staff. And taking projects from idea to implementation. I’ve started having one-on-one meetings with everyone in the company—every cashier and cleaner—twice a year. I think it’s important that they feel like they have a direct connection to the person who is ultimately in charge. I hear what they like and don’t like, and they’ll say they wish we could do this or that. Sometimes it’s a bad idea, but many other times it’s like, no problem, we can do that right now! Or it’s an improvement we can make in the third quarter. It’s rewarding for them to see their idea, something they never thought could get done, actually get done quickly and effortlessly.